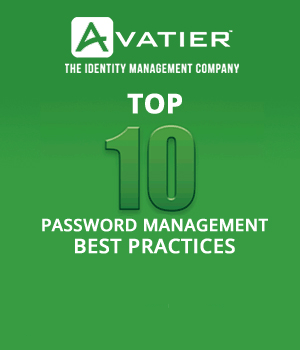 Did you know that 63% of data breaches involve passwords that are weak, default, or stolen? Sony Pictures Entertainment: 3,000 current and former employees were exposed, which cost the company $35 million. eBay: 146 million customer accounts were exposed, which cost the company $200 million. Target: 40 million credit and debit cards were compromised, which cost the company $252 million. JP Morgan Chase: 46 million households and 7 million small businesses were exposed, which cost the company $1 billion. The average person uses 6.5 passwords across 25 websites. A compromise in one account ripples through a user’s auxiliary accounts. Passwords are increasingly easy to compromise. So instead of using a single password to gain access to a system, multi-factor authentication requires the user to confirm his or her identity with multiple data points. Types of authentications include: knowledge (passwords or answers to security questions), possession (a code sent to the user’s cell phone via SMS or app), and inherence (biometrics such as a fingerprint or face scan). The top MFA providers include DUO Security, with 8,000 customers and 5 million users, as well as Google Authenticator, with about 40 million users, or 6.39% of all Google accounts. There are significant benefits to using MFA. It is the best way to protect against remote hacking, such as phishing or credential exploitation. It increases security for online transactions. And it has proven to increase consumer confidence in a company’s security and privacy capabilities. The number of companies using MFA is increasing at a rapid rate. In 2014, it was 37% of companies. This increased to 66% in 2015 and reached 93% in 2016. 1977: Public-key encryption is developed at MIT. 1984: The U.S. sees its first patent application for identifying a person via a non-predictable code generator. 1990: The U.S. Defense Department adopts two-factor authentication. 2005: The U.S. government recommends financial institutions implement multi-factor authentication. 2010: Google launches two-step verification. 2013: MFA is implemented by Twitter, Microsoft, and Apple, which also launched Touch ID fingerprint recognition to unlock devices and make purchases of Apple digital media. 2017: 48% of the public sector uses biometric authentication. 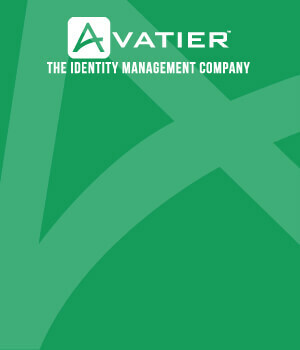 Avatier Password Station lets users reset their passwords themselves without the need for help desk support. Secure authentications include: DUO multi-factor authentication, RSA phone reset, Biometric Face for facial recognition, Biometric Voice for voice identification, and Biometric Fingerprint for fingerprint scanning. Passwords may become obsolete in favor of increased security. In 2017, 77% of identity and access initiatives will focus on multi-factor authentication. Making the switch to multi-factor authentication is an easy way to add security. It’s been implemented by the big players: Apple, Google, and Facebook. By 2020, the market for multi-factor authentication is expected to reach $9.6 billion. Want to Avoid SEC Cybersecurity Fines Without Going Crazy? ← What Makes Passwords Secure?